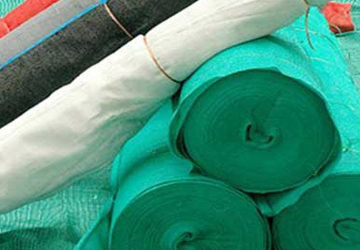 We have ventured into manufacturing and distribution of Agricultural Shade Nets for industrial, commercial and household uses. 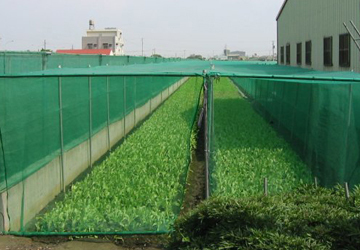 Agricultural Shade Nets are produced using the state of art Japanese and Korean machines. All Agricultural Nets are UV treated with excellent quality that give high strength to the nets and ensure optimum durability and reliability. These nets are of best quality and come in different colors and patterns depending on the requirement of the customer. » Made from high density Polyethylene. » U.V. Stabilized for long life in all weather conditions. » Non-hygroscopic and fungus resistant. » Light Weight and Economical. » Majorly used in Agriculture, Horticulture fields and Floriculture Nurseries. » Major component of the decorative market and used for various types of events like marriages, exhibitions and trade fairs. » Prevention from debris falling at construction sites. » Protection from birds and insects in agriculture fields. » Used in Packaging Industry. 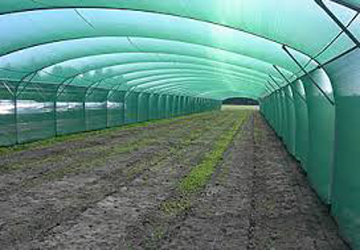 Agricultural Shade Net is Available in Colours like Green, Red, etc. It is also available in Stripes of two colours.